Yesterday, we found out the Super Smash Bros. Ultimate team silently nerfed Piranha Plant on day one because of the fighter's impressive recovery. Unfortunately, there have also been reports from players about the new character corrupting save data. 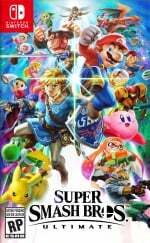 This has not been addressed by Nintendo yet, so what's going on? Since Piranha Plant arrived alongside version 2.0.0 of Super Smash Bros. Ultimate last week, a small number of users have encountered this problem. For some, playing the game's All-Star mode resulted in corrupted save data and hours of gameplay completely wiped. If this is an issue within Ultimate, we can only hope Nintendo solves the problem sooner rather than later. Have you encountered this problem yourself? Have you been playing as Piranha Plant? Tell us below. Hope they find the issue soon. I personally won’t be using my plant son outside of Smash mode, just in case. @MH4 it doesnt effect everyone mostly digital users are at risk of it not physical gamers. Is this gonna happen every time? Should I hold off on playing the game for a few days every time they add a new DLC character? @ReaderRagfihs no its not effecting everyone wat i heard it could be effecting only digital users. So this is only effecting digital owners? I have the physical game. Would it effect me? I wanted to play him in classic mode.... But scared to lose my data. How is this happening in 2019? Surely they could at least do a day 1 patch? @Euler If they can't reproduce the problem, they can't possibly know how to patch it. Best to just stay away from All Star mode with the plant for the time being. @Ttimer5 I played with Planty Boi in Classic mode and had no issues. I own a physical copy. @Euler if they cant find the issue how can they patch it then. I've only heard of this third hand, of stories talking about people having this problem or comments of people saying they have heard of other people having this problem. Thanks for the warning I haven't got Piranha Plant just yet. @LaytonPuzzle27 you can still play as a piranha plant on smash mode,classic,and story mode with no problem. @personauser0893 I've never had Smash crash. The only game on my Switch that has crashed - and always crashes at the same point, rendering the game unplayable, is Resident Evil Revelations 2. =_="
Oops... the first thing I did with this guy is take him into All-Star mode. I guess it's a good thing I decided sleep was more important and quit after one round. When over 10 million people play a game, bugs get found faster than just by a play test team. Have folks already forgotten that bugs exist in BotW and Mario? Just sayin. I know at least @NEStalgia is having digital issues. I’ve got mine physical and nothing rough has happened yet. @AlternateButtons @Ttimer5 I have a physical copy and finished Classic Mode with Piranha Plant. Had no issues either. So far, so good, but I don't think I should use Piranha Plant too much or even go into All-Star Smash. I hope this gets fixed real soon! This is really depressing news. It's getting to the point it's too risky to play smash at all. I've been eagerly awaiting a fix, and now they're saying they can't even identify a problem. For those who haven't seen my posts in the Smash thread, this problem is way bigger than just piranha plant, though save file corruption is the worst effect. For a while the other system (that runs only Kirby) was playing fine, for a few days and maybe it worked after the last reinstall, and maybe the SD card on the other really was an issue. Nope, yesterday the Kirby system crashed again, corrupt data,....must have been whatever spirit battle was chosen loading a "bad" character. SD cards don't spontaneously fail on two different systems on the same day post-patch for a specific game that worked fine prior, unless the problem is not a Smash problem but is a system 7.0 problem with the SD card I/O. But so far other games aren't affected for me. Either way my save file thankfully hasn't corrupted, and I'm avoiding the piranha, but the game install itself is corrupted, and remains corrupted (possibly in different ways) across a total of 5 re-installs on 2 systems, finally realizing that I don't need to reinstall, if I exit when it prompts and just run the game again, and seemingly ignore nearly all zelda content. And other unknown things. All I can really think of is that the patch actually does corrupt the install somehow, and/or that the download copy for NA with the patch pre-applied is also a corrupt image from them patching the master copy. It's the only way to explain every redownload also being corrupt. And maybe is NoA specific? @Euler Worse, their statement says they can't confirm there's even a problem at all, which means they're not even working on a fix because they can't identify a real problem! But yea, for Smash, at least in NA, there seems to be more issues than just the pirhana save. If I can download the game and have it function correctly on a single system I'll let you know....so far...nada. (It's always possible it's tied to save data with a specific problem being loaded in game that crashes.....I've 100%'ed WoL and played a few Classic mode runs, but prior to the crashing I played Spirit Boards ONCE I believe. Shoudln't be anything unusual in my save other than having all WoL spirits, a bunch of snacks and such, and all fighters + piranha unlocked. I played Spirit Boards several hours last night using only fighers I know don't crash (Mega Man, Pikachu, Pichu, Lucario, Mew, Mario, Luigi, Bowser, Kirby, DeDeDe, Zero Suit, Dark Sam, Peach, Pokemon Trainer, Yoshi) and it was fine until I picked the "wrong" spirit battle. Hmm, I hope they solve it soon! @ShadJV It really is weird that I'm having this extensive problem on not one but two systems, that I can't find other people experiencing at all. If it weren't happening on two systems I'd have just assumed SD failure.....but not on two systems at the same time. I'd assume it's a weird form of corruption in my save file...but that's two account's save files. I have a third switch (my own second one with an alt account) that I should patch and try with my alt account and see how it is (but ugh, none of the fighters are unlocked....nevermind....) So if it's on two systems with 2 SD cards, with 2 copies of the game, with 2 user accounts and 2 save profiles (both completed WoL though?) it can't be a random coincidence. But it's so weird I'm not seeing others mention it. I'll say that Smash was running (or was it Let's Go Pikachu? I think Smash...) last week when I started it it said "there's an update available".....moments after that the system rebooted (installing the OS 7.0) and then after it came back up it automatically started downloading the smash 2.0 update. Maybe doing both together did something? But then redownloading should have fixed it. All I know is I played Smash for 6 weeks, tons, without a single problem. 2.0 installed, and I never even got into a battle, both systems crashed out with corrupt data found just sitting on the menu or intro video, respectively before the first redownload. I'm sitting at 3 redownloads on one machine and 2 on the other, and both still crash. But you're right, why does no one else seem to have this issue? @NEStalgia idk man. With billions of lines of code, sometimes games can do wonky things. The fact that it only is happening to you makes me feel it’s somehow something in your environment (unless you just somehow have really bad luck and got multiple faulty consoles or SD cards that suddenly started failing in specific ways). I wouldn’t know where to start troubleshooting, but have you tried playing without the system connected to the internet? Have you tried downloading it from a different wifi source? Is there anything different about your home since the issue started? Yeah these are all a bit grasping but it’s a very unusual problem you’re having, and the fact that we’ve yet to hear of it happening elsewhere seems to imply it’s not something that can be recreated easily. That’s a really frustrating problem though, I hope it gets solved soon! But it could be some kind of compound bug where something in both save files happens to trigger something that's broken in the game. Still odd that it's on 2 systems. If they really can't find it and it's really not going to be fixed, in all likelihood I have to just delete smash forever and move on, like I had to with Fallout 76. Because right now I have to cherry pick characters and tiptoe into battles and probably avoid online, and that's just not fun. OTOH there's clearly something underlying here with all the reports of the other problem with the piranha and save specifically that Nintendo also can't find why it's happening. Nothing different since it started. Played smash before 2.0, fine. The next day I had the system update and Smash update pending and hit ok for the install. In both cases have toggled between Smash and Let's go Pikachu (physical game for the latter, but no issues. Played some DKCTF (also digital), no issues. I'm tempted to try pulling the cloud save on my other Switch and testing on there, but I'm very afraid that messing with now adding another system to the cloud saves will then end up putting the save file at more risk. I can use the other account but that means unlocking all the fighters the long way just to get the ones that seem risky.....I can't imagine doing that either. @NEStalgia I only suggested environment because you seem to be the only one with this specific problem yet it’s multiple consoles for you. While the update seemed to start it, I can’t think of any reason for only one person to have a specific problem like that. Have you tried contacting Nintendo’s support btw? If it’s easily repeatable on your console, they might be able to do something when they observe it directly. 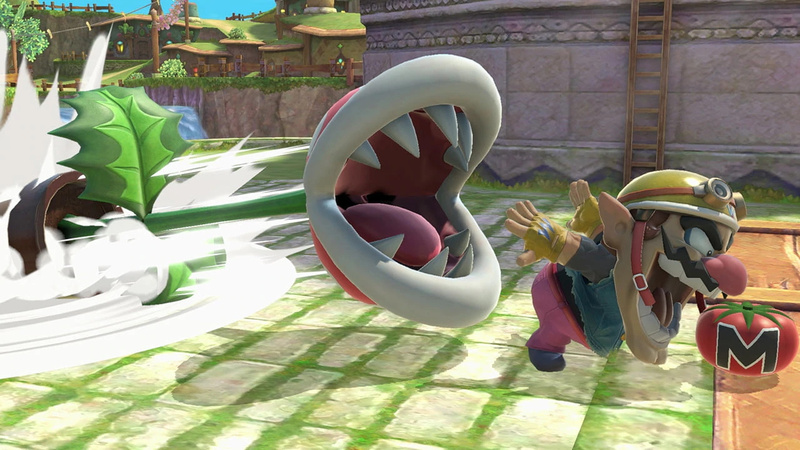 As for the main problem with Piranha Plant, I’ve no doubt they’ll find and patch it when ASAP. Other than your case, it only seems to be triggered by completing All Star Mode with the one problem, which isn’t quite Bathesda levels of broken. Once they find the issue, they can patch that. Just takes a little time. Thing is, since your problem is completely different, whatever solution they come up with for that probably won’t fix yours, hence why contacting support might be for the best. I hope you figure out something, it’s a great game but having to cherry pick characters and modes would hamper anyone’s enjoyment. It’s crazy that it suddenly became so fragile for you, and I’d be pretty upset, losing access to a game I paid $60 for! I'm not unconvinced the piranha problem and my problem aren't unrelated. They don't sound related, but the "use character x in situation y" theme may be a root issue. I wouldn't be surprised if there was something common there. The only reason I'm not utterly fuming over it is I at least completed WoL which was my main event. But heck, more than $60...$85 or so? I got the whole character pass with it. I'm still hoping whenever they patch the piranha they fix this as well (or the traditional Japanese business paradigm: "Fix the problem, deny it ever existed." They're notorious for that there. It's the standard procedure. Canon camera had a fun one, a $1500 lens with a chronic back focus problem. Many owners duplicated it, many pushed on the US reps, who pushed on corporate, and continuously corporate denied such a problem existed, and told people to service it under warranty (which took their lens for weeks and when it came back it still had the same problem.) Then one day there was a new firmware for their bodies that added support for a new flash module they released. Suddenly all the lenses were focusing correctly. Corporate denied repeatedly that they fixed any lens focus issues, or that any lens focus issues ever existed. @NEStalgia From what I understand though, it wasn't normal use. It was back pockets and people sitting on them. Considering the weight of an average adult man... That's not strange that they might break. @Heavyarms55 On the whole I agree with you in concept. But. When other brands of phones weren't having such problems under similar real world conditions, it still points to an inferior frame design/material. It may have been "abuse" but it's common abuse when used in the real world. It's a case where they designed the product for an ideal use case without considering the actual way the product form factor is used and the regular stresses people are apt to place on them. Sure, I don't like the idea of sitting on my $600-1k electronics......but if I were designing a pocket computer, I'd begin with the assumption that it's going to happen often anyway. Apple managed to not do that despite their claim to fame being their user-experience focus. That definitely counts as a fail both in general, and specifically for Apple dropping their standard on their core sales point. I feel kind of dirty talking Apple now. I bought some iPods back in the day, but otherwise swear off most things Apple...but recently became a customer again after realizing their Apple Music actually does have the best catalog of the streaming services......grrrrrr.... Worst interface. Worst discovery. Horrible interconnectivity. But darnit they have tons of music I want that the others have only snippets of or none at all. What gives, Spotify? @NEStalgia Someone did that, didn't they? @Heavyarms55 yep. Granted, it was for a functional cause, xtreme durability testing for a YouTube channel, so the advertising made 1000x the cost of the switch & chopper rental probably. And we learned a lot about how rugged the "fragile" switch actually is. But i probably was technically officially dead for several seconds while watching it. @NEStalgia I have to wonder if doing that sort of thing is even legal. If someone happened to walk by at the same time... They'd have a bad day.